This is a very nice corded charger that also comes with car adapter. 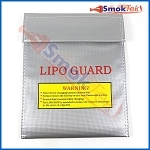 It has a switch that allows charging of LiFePO4 batteries as well as Ni-MH/Ni-CD and Li-ion batteries. 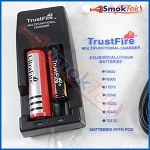 It is great for charging rechargeable batteries such as CR123A, 10440, 14500, 16340, 17340, 17670, 18350, 18500, 18650, or 26650. The 4.2 volt position is used for Ni-MH, Ni-CD or Li-ion charging while the 3.6 volt position is used for LiFePO4 charging. 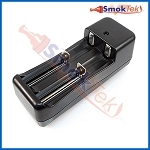 You can change the position easily by sliding the small switch on the charger from 3.3V over to 4.2V. I ordered an HG-1210W charger and it was shipped out quickly. Unfortunately, it was dead on arrival. The LEDs would not turn on and batteries would not charge. I contacted customer service and they sent me another HG-1210W without any trouble at all. They even verified that the new unit was functional before shipping it out to me. That unit has performed flawlessly. It quickly charges my batteries with no signs of trouble. This was my first time placing an order with SmokTek. Despite the problem with the first unit, I will definitely be ordering from them again because of the high quality of their customer service. It is not an Intellicharger I2 and the directions are worthless. But once you figure out the settings it does a good job. I wanted a back up charger for work and this was the one for the price. Wish I read Chinese. Figured out the setting. Bonus! When I plug into 110V at home it back circuits to the 12V and I can use my 12V chargers. I have recommended to several other truckers. Bought a 2nd hg-1210w charger as I was so pleased with how well the first one worked for the past 2 months. Several times charging 4 batteries at a time will be handy and I will have a spare if the first one dies. Now I can charge both 1.2volt AA and 3.7volt 14500 with the same charger, both at home and in the car. Charges in about 2 hours so it is fast but not so fast as to damage the batteries like I suspect the 15 min. chargers can. Perfect charger and I highly recommend it. Q: Hi, can you charge only one battery at the time or has there be always two in the charger? I'm glad to help here! 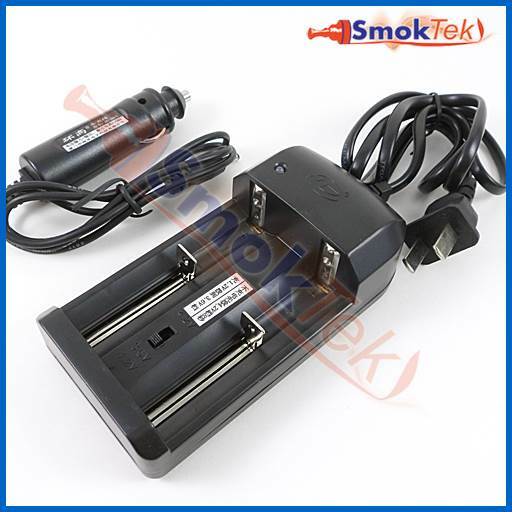 The HG-1210W Lithium Ion Battery Charger can charge a single battery without issue.